The International Rescue Committee is one of nine voluntary agencies (VOLAGs) paid more than $1 billion annually by the federal government to resettle refugees in the United States, and the largest VOLAG in San Diego County. “El Cajon is located in San Diego County, where more than 20,000 refugees have been resettled by the federal government in the past nine and a half years since the beginning of Fiscal Year 2008,” as Breitbart News reported earlier this week. “Applicants needed to have work authorization and will go through the same review and background check as other potential employees, according to the company,” NBC 7 reported. Starbucks apparently does not include testing for latent tuberculosis infection (LTBI) as part of the “review and background check” of potential employees. “California, like most states, requires TB testing for health care workers. Employees of restaurants are not required by California law to be tested for TB prior to hiring,” Breitbart News reported. 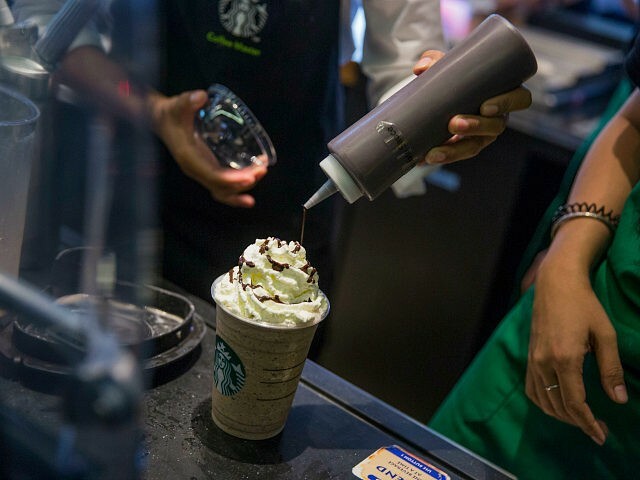 Applying just this standard employee review practice to the Somali refugees under consideration to become Starbucks baristas could pose a potential health risk to Starbucks employees and customers. “Around 10 percent of those with LTBI will develop active TB at some point in their lives. The triggering mechanism to activate latent TB is not entirely understood, but high levels of stress, crowded living situations, poor public health practices, the presence of other diseases that lower the immune system, and behavioral conduct–such as smoking–appear to increase the chances of activation,” as Breitbart News reported this week. Of the 1,263 refugees who have been resettled in San Diego County in the ten months and one week since FY 2017 began on October 1, 2016, 29 percent, or 364, are from sub-Saharan Africa, according to the Department of State’s interactive website: 177 from the Democratic Republic of Congo, 134 from Somalia, 20 from Eritrea, 14 from Ethiopia, 11 from Sudan, 5 from the Central African Republic, 2 from Kenya, and one from Cameroon. There is no indication that latent TB testing and treatment requirements of refugees in San Diego County have changed since the 2013 study. As Breitbart News reported this week, the 2013 Rodwell study found that, among refugees in San Diego, the incidence of active TB among refugees in San Diego County is 327 per 100,000, more than 100 times greater than the 2.9 per 100,000 incidence rate of active TB among the general population in the United States. Not only is Starbucks apparently not testing these refugees it is considering hiring for TB — who apparently come from Somalia, Afghanistan, and Syria– many of them may not even have been tested by the federal government for TB in their initial domestic medical screenings. Breitbart News repeatedly asked Starbucks for comment on its TB testing procedures for new hires, but received no response. “Most of the refugees we talked to here in El Cajon say they just got to the country in the last month,” NBC 7’s Danielle Radin reported from the Starbucks refugee hiring event (beginning at the 26-second mark in this video). 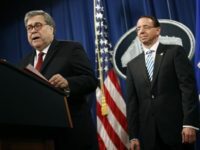 “The NBC report validates legitimate concerns that have been raised repeatedly by the very community stakeholders, ie, residents in receiving communities, that the ORR and VOLAGs for years, have deliberately kept out of the resettlement process,” an attorney familiar with the federal refugee resettlement program tells Breitbart News. “With the documented increases of active TB and multi-drug resistant TB brought to communities by foreign nationals, ignoring the high latent TB rates demonstrates a reckless disregard for the public’s health and make state funded TB elimination programs a sad joke,” the attorney adds. The regulations of the federal government’s refugee resettlement program say that initial domestic medical screening reports must be conducted within 90 days of arrival, and must include testing for latent TB. Those initial domestic medical screenings, however, are not mandatory. In California, about 24 percent of arriving refugees, asylees, parolees (a term used for arrivals from Cuba), and special immigration visa recipients (from Afghanistan and Iraq) never completed an initial domestic medical screening.